Hands up if you’re glad Christmas is over! This year didn’t really feel like Christmas for me. I don’t know if it’s because I’m getting older or because my brother wasn’t at home for it but it just felt off. It was basically a day were I got to wear a silver party hat while I ate mozzarella sticks for dinner. I’m not hating on the day though, it was nice to spend some time with my parents and laugh at my dad while he stressed out over the barbecue (yes we barbecue in Scotland on Christmas Day in my house). Treating my parents was also rather lovely. I put a lot of thought into their gifts this year and for once, I was able to spend an amount I wish I was able to every single year. My parents have done a lot for my brother and me so they deserve a nice gift once in a while. My presents this year were a little random to say the least. I mean, I had car shampoo in my stocking and a sponge under the tree. Those aren’t presents I expect but hey, at least my car is going to be the sparkliest thing on the street. 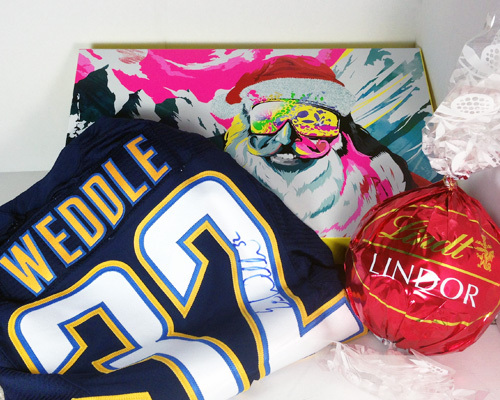 My other half did completely spoil me with a huge Lush box, a signed Eric Weddle Chargers jersey, a box of 60 (yes 60!) Freddos and a Lush gift card though so the oddness was balanced out. 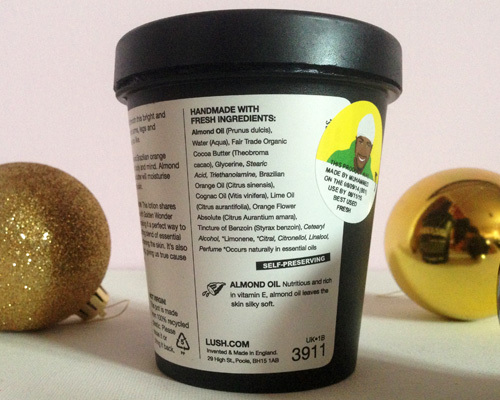 How snazzy is that Lush box?! Nothing eventful really happened on Christmas for us. Last year my dad almost set the house on fire but this time around the house was safe and so was everyone in it. I think the most exciting thing that happened was me sticking my head in the toilet – I definitely overindulged in the chocolate pudding! I’m not making our day sound all that appealing am I? 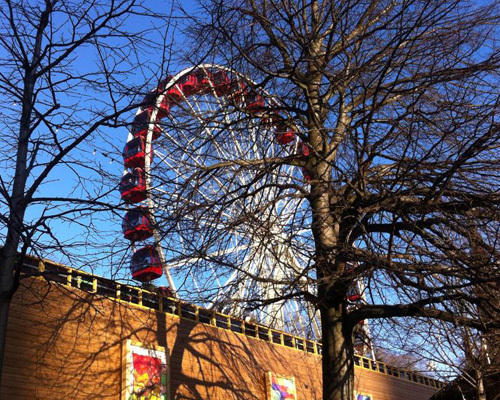 Basically I have just written a post about how normal our day was. Like I’ve said before in Christmas related posts, we’re not really all that into it. I was just happy to have the day off work. Simple things! Regardless of how uneventful my day was I hope you had a great time and got everything you wanted. If you’ve got any chocolate pudding left over please send it my way! Christmas isn’t a big deal in my family. Sure we have our trees and decorations and we do get into it on the actual day itself but the lead up to it is kind of “whatever” in my house. 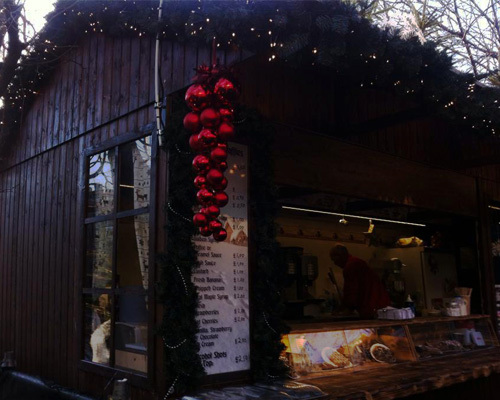 Despite that fact my mum, dad and I now have a tradition of going to the Edinburgh Winter Market to gorge on waffles and attempt to do some Christmas shopping. It’s the only Christmassy thing we do prior to Christmas Day. 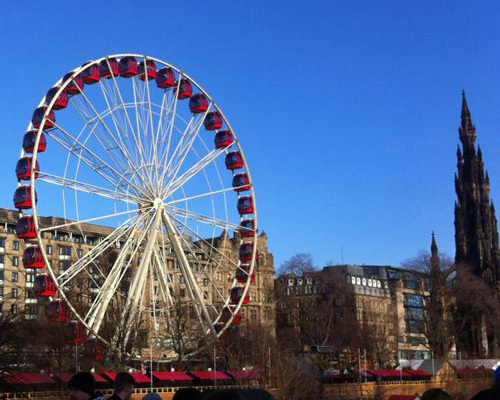 Edinburgh is one of my favourite cities but I absolutely adore it at Christmas time. I love the Winter Market and how happy everyone seems while they’re wandering around all the cute wooden stalls. The smell of the bratwursts cooking makes me want to throw up but the stalls selling decorations and all sorts of random cheese makes me feel all warm and fuzzy inside. Perhaps I am a human! We went this year on December 8th (boy am I late with this post!). I had one goal and one goal only: to eat waffles – let’s count how many times I say “waffles” in this post. As soon as we got into the market I immediately started looking for the waffle and hot chocolate stand. I eventually found it right in the same spot as last year; I should’ve looked there first! All I wanted was a waffle with vanilla sauce and a small hot chocolate. Christmas is the only time of year where I will happily consume cow’s milk and that hot chocolate was definitely needed. I may have been wrapped up in my warmest coat but I’m fairly certain I was starting to turn into a snowman, I was that cold! Annoyingly I didn’t manage to eat all of the waffle as I made the stupid mistake of eating breakfast beforehand so now I have to wait until next year to attempt to finish another one. To say I’m gutted would be an understatement. Yes I am mad about not being able to finish a waffle so much so that I’ve dedicated an entire paragraph to it. 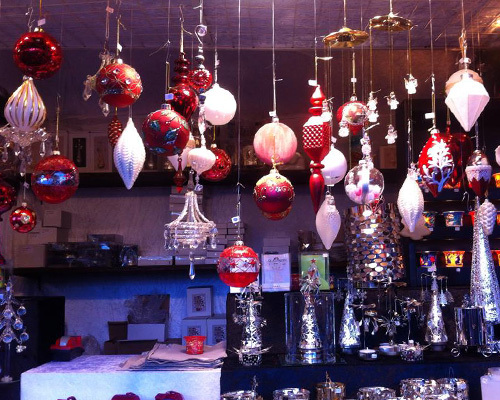 The Winter Market was as fabulous as ever but the Christmas shopping that followed was a disaster. 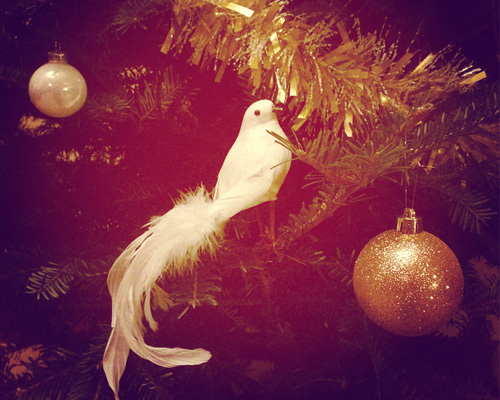 All we managed to find was some more decorations for the tree (we change the colour scheme every year like weirdos). I didn’t have any ideas as to what to get my parents so I was hoping wandering around the shops would help but nope, nothing caught my eye. It was difficult getting the presents for my other half as well despite the fact I knew exactly what I was getting him. Shops are useless! Basically all we managed to do was eat waffles, get my phone battery replaced at the Apple store, turn into icicles and coat our lungs in the popcorn scented air. It really was one giant fail but hey, I got exactly what I wanted so I guess I can’t complain. Waffles. Yesterday I went on a desperate mission to find a Secret Santa present for someone who I have deemed impossible to buy for. The present I originally purchased for them didn’t arrive in time (thank you Royal Mail!) so I made the mad and confusing drive to my local garden centre in hopes there would be something suitable in there. Instead what I found will ruin my bank account forever. Inside my local garden centre is a table and on that table are all the Yankee candles a generic blogger could ever want. Apparently they’ve been selling Yankee candles for a while but no one thought about telling me, cruel people! After I got over my initial excitement about this fact I purchased one candle and one candle only, oh hell let’s call it the candle to rule all candles. I originally picked up Christmas Eve but in the end I decided the fruitiness of it would be a little too much for me so instead, I went for the deliciousness of Christmas Cookie. I picked up the smaller version mainly because I thought it was cute. I discriminate by size. 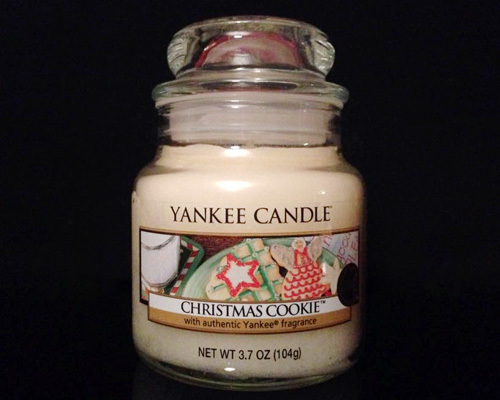 I haven’t actually lit the candle yet (aside from to take picture) but I imagine this is going to smell incredible and will probably have me buying boxes upon boxes of cookies. My room is currently reeking of Chinese takeaway so maybe I should actually light it. Decisions! 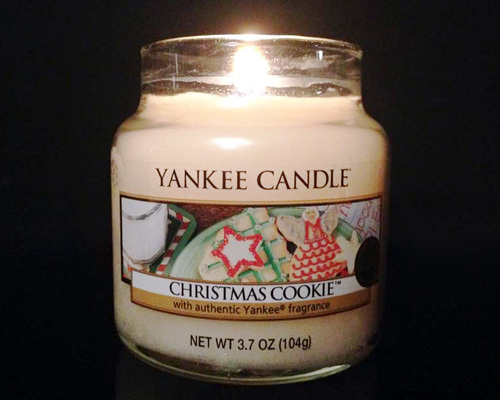 Anyway, this is has been a rather rambling post about candles so I think I shall end it here mainly because I want to smell Christmas Cookie again. Would it be weird to make my other half sleep on the couch so the candle can have his side? Candle issues. 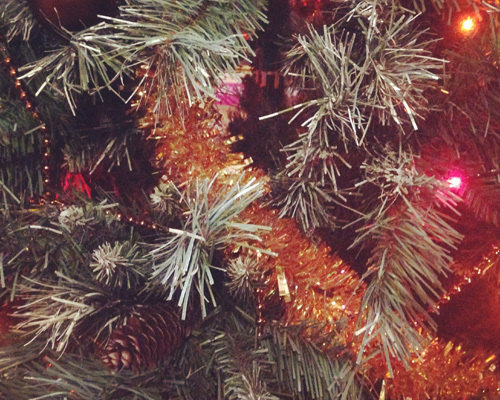 Last Christmas (I gave you my heart and the very next day…sorry!) my brother kindly gave me a Lush Christmas box. During the lead up to Christmas I had overindulged in dairy and was suffering from a rather stubborn eczema flare up as a result. I was stumped for a way to banish the eczema from my skin but inside the box that my brother’s girlfriend had so carefully wrapped was the answer to my itchy prayers. This is getting exciting isn’t it? 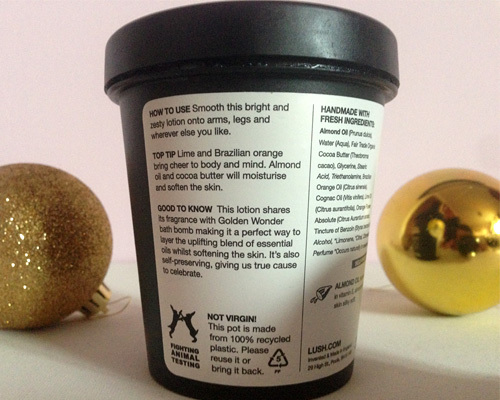 Lush Celebrate came in a dinky 75g tub that sadly lasted for just over a week. Even though we only spent a short amount of time together I was absolutely in love with it and was rather gutted when our odd relationship ended. That little tub of Celebrate cleared up my eczema practically overnight and allowed me to stuff my face with mozzarella sticks until they were forced out of my hands. Needless to say I was rather gutted when the tub ran out and I discovered it was limited edition. 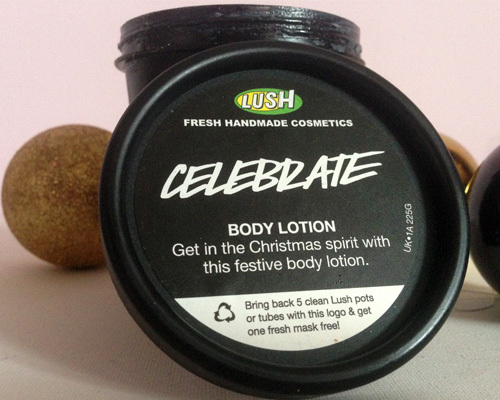 Fortunately Celebrate hit the Lush shelves again in September this year which had me almost jumping for joy (I say almost as jumping requires effort). As soon as I discovered it was back I immediately snapped it up and then apparently took almost 3 months to post the review. I used Celebrate the same day the 225g tub made its way back into my life. The awful orange Calpol like smell that disgusted me last year is back but it seems to be slightly less child sickness like; it’s now an odd mix of that orange sweet I hate from Quality Street and Calpol. The morning after I slathered Celebrate all over me was not a pleasant one; I woke up to an all too familiar burning feeling in my legs. The burning was the end result of a major scratching session in my sleep which my legs received the brunt of. Weirdly the rest of my skin was fine; in fact, it had improved by a significant amount. I knew Lush and their wizardry was behind the positive aspect but I was completely confused by the claw marks on my legs. Celebrate went on me again the night of the morning after and continued to do so for a week. Each morning I would wake to fresh scratches and it got to the point where my legs were more bright red than milky white. Despite the fact I was clearly trying to remove my legs in my sleep the rest of me was completely scratch free. It made absolutely no sense. Eventually I went a night without applying Celebrate to my legs and low and behold there were no new scratches on my legs. I went a few more nights without applying Celebrate to my legs as I was trying to be all scientific and conduct a pointless experiment and what do you know, no new claw marks I was rather devastated. Yes, devastated over a body lotion. I am that fickle. Despite the scratching and the fact I now can’t use it on my legs I honestly can’t fault Celebrate – aside from maybe the smell. It’s a thick and luxurious cream that contains all of the right ingredients. The almond oil in particular helps my skin a lot and it’s the reason as to why I can stuff my face with mozzarella sticks again this Christmas. I’m completely lost for a plausible explanation as to why it’s not agreeing with my legs but it’s working just as well as last year on the rest of my body. 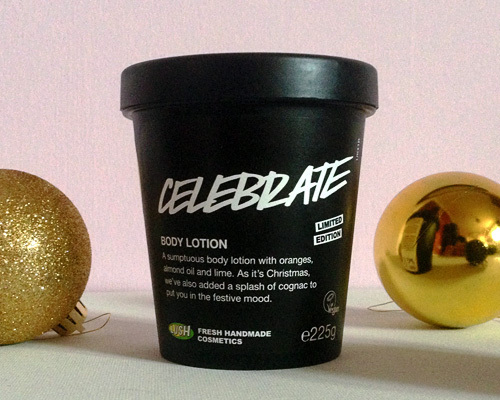 If you suffer from general dry skin or eczema and can handle the awful orange smell then I’d highly recommend Lush Celebrate to you. I’ve been using it sparingly as I don’t want it to run out too soon since it is limited edition but honestly, a little goes a long way. It is a very heavy cream so unless you enjoy the greasy look definitely keep it away from your face. It’s honestly a brilliant cream, I’m just the idiot who scratches in their sleep at the slightest thing. P.S I cannot work with this lighting anymore! 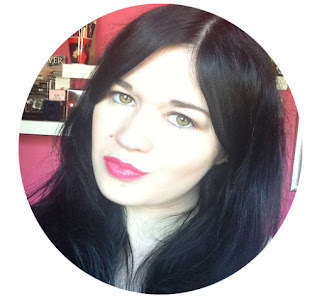 The beautiful Jilly at mynameisjilly.blogspot.co.uk tagged me to do the Christmas Tag so here it is! Is it weird that I'm not big on Christmas but was actually rather excited to do this post? I think I just like talking about myself. The Santa Clause! It’s usually on TV on Christmas Eve but I can't find it on the listings this year. Fortunately I have it on DVD but I'm actually a little gutted it's not on BBC1 or BBC2 this year. Christmas is ruined. I think I have but I was really young and it was more than likely that awful slushy gunk. 3. Where do you usually spend the holiday? At home with my family. My brother is in Australia this year so it’s going to be really weird! Don’t shoot me but I absolutely detest Christmas songs. They’re too cheery! Nope, it’s not a tradition in my family and I’m so glad it’s not as I probably wouldn’t be able to stop opening presents. Erm Rudolph, Prancer, Dancer, Donner, Blitzen, Casserole, Coffee, Comet…how many reindeer are there again? 7. 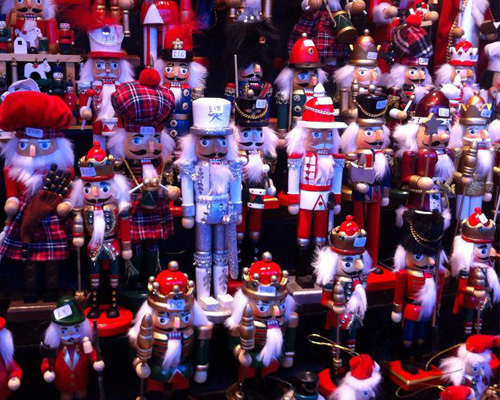 What holiday traditions are you looking forward to the most this year? Putting the tree up. I usually do it by myself as I have high standards but this year I had help from my male human. He did a good job so I'm proud of him. Little things. We have a real one in the living room and a fake one in the dining room. I used to have my own mini fake one but it was looking a little worse for wear last year so I threw it out. I need to replace it! They’re not exactly traditional holiday food but I love mozzarella sticks and devour them all of Christmas day. Oh and that really gooey chocolate pudding always goes down a treat too. I like both equally. It’s nice to find the perfect present for a loved one but it’s also nice to receive a present especially when it’s a pair of Beats that your brother then borrows for the majority of Christmas. I’m really not sure. My family typically gives less presents that are more expensive as opposed to a lot of presents that are cheaper so over the years I have received some incredible gifts. I honestly can’t single out one present in particular! This question is way too hard. It’s such a cliché but New York would be my dream place. It’s obviously so hyped up and everyone I know who has been to New York around Christmas says it’s not as good as it’s depicted on TV but I still want to go for the holidays. Oh I definitely fail miserably. I got so excited last month when I realised I had more space to wrap this year (I’ve been confined to wrapping in my small bedroom up until recently) so maybe I’ll suddenly become a pro. 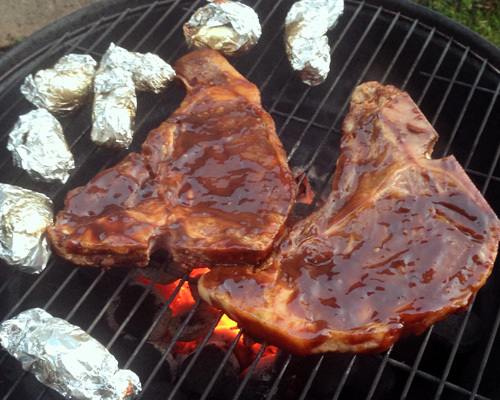 Last year when my dad decided to barbecue the steaks but almost set the house on fire in the process. It’s such a silly memory but it’s definitely going to be discussed by my family for years to come. 15. What made you realise the truth about Santa? I think someone in primary school said he wasn’t real. My parents kept up the charade until 2 years ago though. They used to sign the tag on each present “Love Santa”. 16. Do you make new year's resolutions and stick to them? I make them but I don’t keep to them. I always make unrealistic ones that I break within minutes. Another cliché, family! Like I said, this year is going to be weird as my brother isn’t going to be here and my other half will be getting some rather serious test results right before Christmas so I’m not sure how this year is going to go. My dad is getting really into Christmas though which is totally out of character so it’s definitely going to be a festive one! So that's my Christmas all rolled up into one post. Happy Christmassing. If there’s one thing I dread about winter (aside from the cold weather, the mad Christmas present panic and the fear of overindulging in chocolate) it’s picking out what clothes to wear. 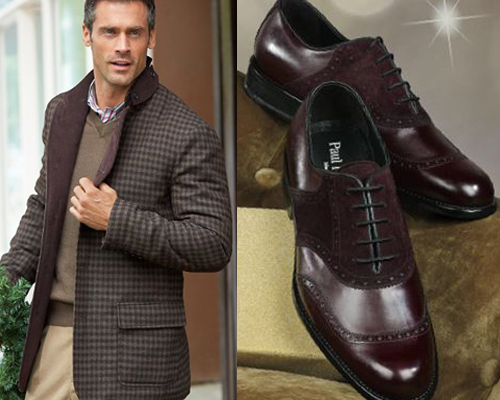 The festive period comes with a lot of formal events that require a new outfit every time. Sometimes it all becomes a bit too overwhelming but there are a few tried and tested things that I like to stick to. While everyone else seems to sparkle away in their gorgeous glittery dresses and killer heels I like to keep things simple. A little black dress and a pair of statement shoes gets me through the party season and I like my man to rock the classic look too. Clean cut, well fitting, suits are something all men look great in (if you ask my other half he’ll tell you he looks “proper dapper” in a suit) and are definitely a must have for the festive period. 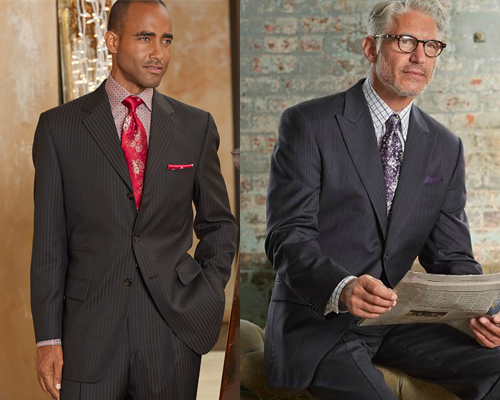 Guys are a lot more limited when it comes to clothing choices than women are but fortunately for them, suits come in a wide range of cuts, styles and colours. 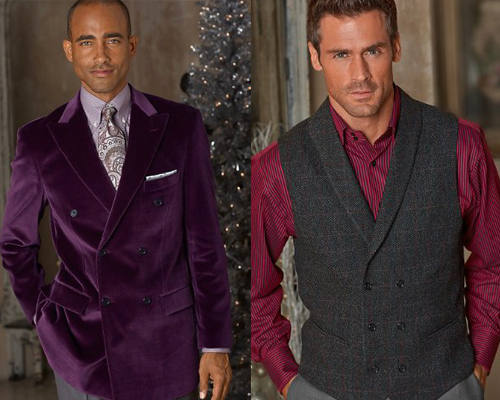 There are certain parties (like the office Christmas one) that call for a festive spin on your man’s attire. 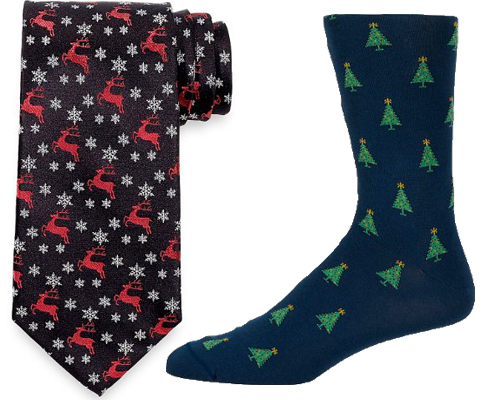 A dark suit with a crisp dress shirt and a fun tie is the best option for a Christmas work function. Your significant other will look stylish, appropriate and will hopefully not be the negative topic of conversation at the water cooler the following morning. When it comes to more personal events such as a family meal or a party hosted by a friend you can be a lot more daring with your outfit. If you and your other half have a taste for colour then pick out clothes that are rich in purple, burgundy and even gold and silver. If your style is a lot simpler like mine and my partner’s then pick out classic looks made up of black, red and white. I like to throw in a hint of gold into my formal outfits but the males out there aren’t exactly spoilt for choice when it comes to accessorising. Keeping it simple when adding some flair into an outfit intended for a male is the best option. 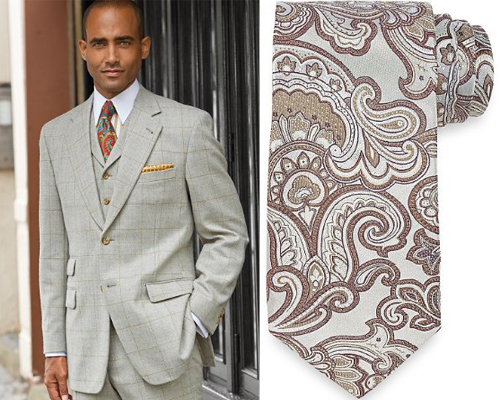 A gold tie or one with a gold pattern can add that festive twist without overwhelming the entire outfit. Even a gold watch peeking out from their sleeve will assist in adding that edge. As for the added extras that are needed when battling the cold a smart jacket in a neutral tone will add that finishing touch to whatever outfit your man chooses to wear. Although a coat will more than likely be removed upon entering the building you’re in it can really make or break an outfit. My favourite go to coat is camel with rose gold details while my partner’s is a grey piece. As they’re both neutral colours they complement each other and go with whatever outfits we’re wearing. Shoes are also an obvious necessity and again, can make or break an outfit. While I favour more statement shoes to contrast with my simple outfits, my significant other goes for classic styles. His more timeless shoes are the complete opposite of my bolder choices but they help to keep my taste from being to jarring. As much as I dread this time of year I’m always up for seeing my man looking (to quote him again) proper dapper all dressed up. Although there are occasions where we both feel like mixing it up and being a bit more daring with our choices, simple and classic is always our top pick for formal outfits. A man really can’t go wrong with timeless pieces regardless of how much wine and how many sausage roll crumbs end up all over his suit. Disclaimer: This post was written in return for exposure because no one wants to pay bloggers for their work. Also, I never actually received any exposure. Winning. Growing up in a small town in Scotland meant I was constantly surrounded by white faces. Diverse is not a word one would ever consider to describe the town I have lived in my whole life and as a result of this I was fairly sheltered from racism. Racism was something I only ever read about in my American history textbooks. It was a subject I was extremely interested in but was also very naïve to. The racism I was reading about happened during the days of Malcolm X and Martin Luther King and to me, that level of racism no longer existed. I had never seen it in real life therefore was completely ignorant to it. I learnt after leaving school and discovering that there is a world beyond the building I had to be in for 7 hours a day, 5 days a week that prejudice towards all races still exists. That was something that was conveniently left out of every single textbook and every educational film I was ever shown during my 12 years of education. I’m glad I discovered that racism is still well and truly alive when I did as the current events America is producing would completely tear my mind apart if I hadn’t realised the awful truth. Racism isn’t something I’ve ever experienced so it would be rather pretentious of me to comment on the emotional and mental impact it can have. The only side of racism I can understand is the death it causes. The black people who are shot for having a toy gun in a park, for walking down the street with their friend or for having the audacity to sell untaxed cigarettes in New York. I can’t even begin to comprehend how people can look at someone and only see skin colour. I find it difficult to process the fact your skin colour automatically stereotypes you. As far as I’m concerned the “white girl” stereotypes on social media are all in good fun but the stereotypes projected onto black people are disturbing. When Seattle Seahawks cornerback Richard Sherman had an outburst on the sidelines after the 2013 NFC Championship game he was automatically branded a “thug”. He suddenly had no place in the NFL due to an emotional interview conducted by Erin Andrews. The real Richard Sherman is a hardworking, intelligent, dedicated Stanford graduate who helped the Seahawks dramatically during last season. He’s not a thug but his skin colour predetermined how not only the media but the general public would respond to his reaction after the game. Richard Sherman later went on to point out that “thug” was the new way of using the n word. It doesn’t make any sense to me. When I look at a person, I see them as a fellow human being because that’s exactly what they are. They could come from any country, be of any skin colour and come from any background and I really wouldn’t care; I’m only interested in whether someone is a good person or not, the rest just doesn’t interest me. It’s been 46 years since the death of Martin Luther King and black people are still fighting for equality. When things changed towards the end of my American history textbooks I assumed racism had ended. I stupidly thought people were more willing to accept someone who isn’t white as a person but I was wrong. Racism still exists to this day and although it doesn’t affect me directly, I still want to fight against it. I can’t be in Ferguson, Missouri or New York to protest but I can be there in spirit and pray that one day, skin colour won’t matter. I can support the families of the victims, I can applaud the Rams players who stepped onto the field in the “hands up, don’t shoot” stance and I can fight for equality even if I’m only playing a very small role in the battle. I may not fully understand racism and I may have been ignorant towards it for a long time but I’m slowly but surely becoming more and more aware of it. I don’t know how to handle it, I don’t know the solution but I know I can be part of the fix as opposed to being part of the issue and that’s exactly what I’m choosing to do. I only wish that eventually every single person who inhabits this planet learns to do the same.